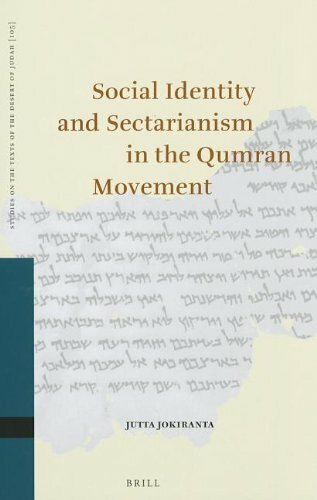 `Identity' and `sectarianism', two crucial and frequently used concepts in Qumran studies, are here problematized, appraised, and redefined. Two social-scientific theories inform the investigation of the serakhim (rule documents) and pesharim (commentaries). The sociology of sectarianism is presented in retrospect in order to identify appropriate methodological tools for speaking about sectarianism in the ancient context, and for comparing sectarian stances in the serakhim. Furthermore, a social-psychological perspective into identity is introduced for the first time for appreciating the dynamic and context-dependent nature of a person's social identity. The final chapter takes a fresh approach to the study of the pesharim, arguing for the need to read each Pesher as a whole. It analyses the prototypical `teacher' and brings forward new interpretations of this captivating and cloudy figure. Jutta Jokiranta, PhD (2006) in Hebrew Bible Studies, University of Helsinki, is University Lecturer in Hebrew Bible/Old Testament Studies at that university. Her research covers themes in social identity, sectarianism, kinship terminology, strangers, and ritual life in the Dead Sea Scrolls.